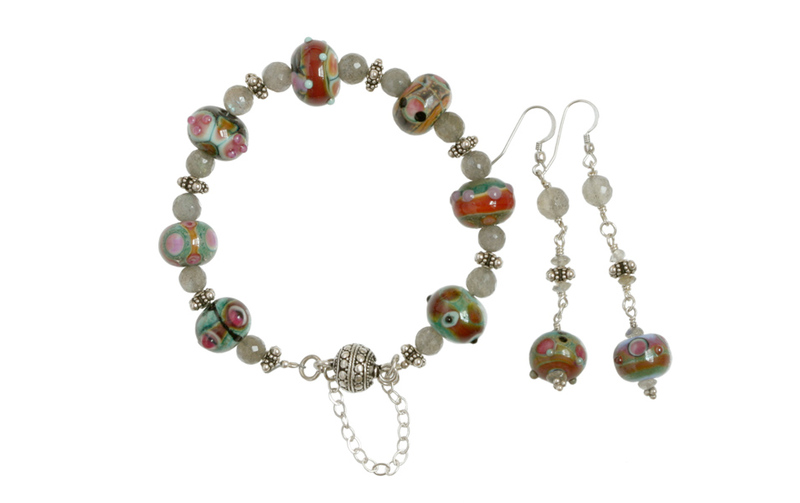 More of Catherine Howard’s fantastic lampwork beads with laborodite and sterling beads to give you another one of a kind bracelet and complementary matching earrings. The sterling bead clasp is magnetic. Matches the Fantasy Necklace. Fits 7 – 7.5 inch wrist.